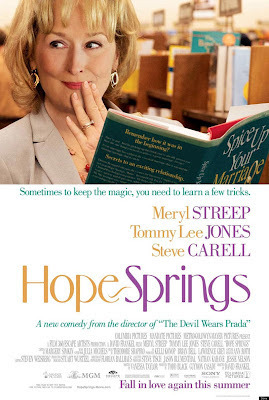 Meryl Streep reunites with her The Devil Wears Prada director David Frankel for her newest movie Hope Springs. She stars with Tommy Lee Jones in the romantic comedy which features a couple who are trying to revitalise their marriage with the guidance of a self help therapist played by Steve Carell. Elisabeth Shue also stars and proves that there is life after Piranha 3D. David Frankel's follow up to The Devil Wears Prada was his adaptation of another book; Marley & Me in 2008 which was a big box office hit but his 2011 film The Big Year which starred Steve Martin, Owen Wilson and Jack Black was one of the biggest flops of last year. 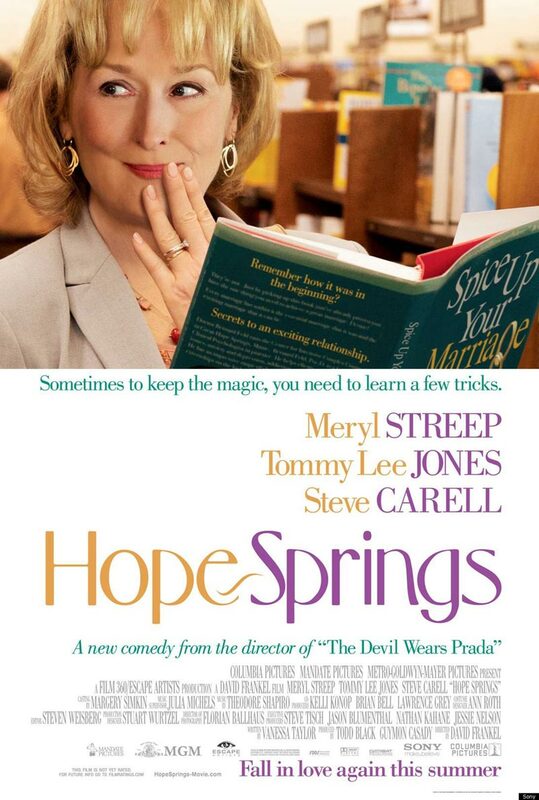 Here's the trailer for Hope Springs which is released in the U.S. on August 10th.